Kerbal Space Program has been building steam for a while now. We sat down with creator Felipe Falanghe, developer Chad Jenkins, and PR manager Bob Holtzman to talk about KSP in depth. Along the way, we were able to get a first look at some of the new features coming in update .22. 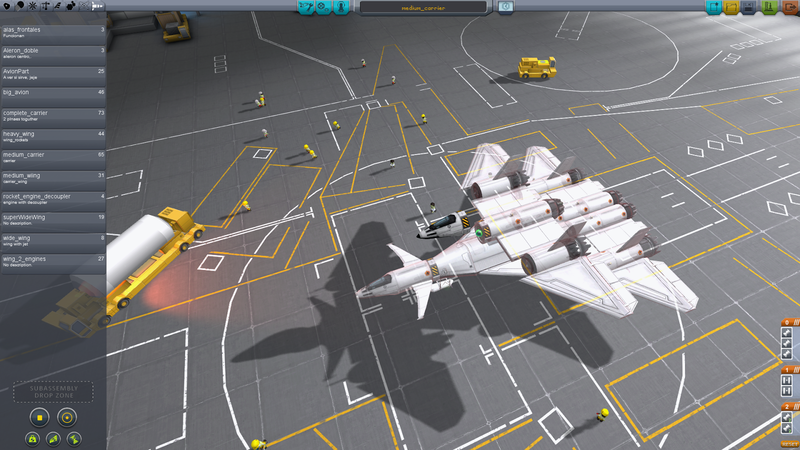 So without further delay, here is what's next in KSP. One of the long time goals of KSP has been to add in a Tycoon like career mode that has players building a space program from the ground up. Update .22 takes the first major steps in that direction. The upcoming patch will include a working R&D lab where players can research new technology. Each new research block will unlock a series of parts. Felipe says that by implementing this process, they can smooth out the learning curve in KSP. The new tech tree in many ways mimics the update of the game itself, allowing new players to experience a gradual build in available parts and complexity for their craft. 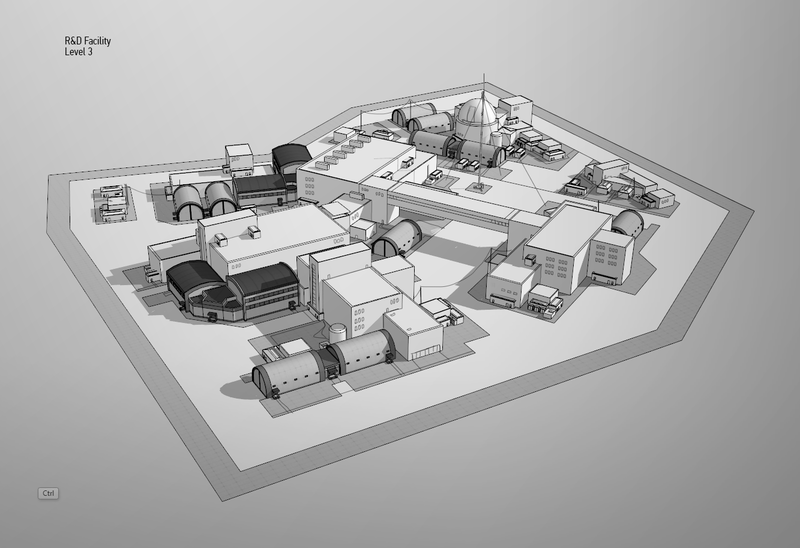 A Mockup of the new R&D Center. Image courtesy of Squad. The parts will come at a cost. You'll have to make a few scientific breakthroughs to get beyond basic orbit. And you'll make those breakthroughs with the help of KSP's new science modules. We were shown two modules at PAX. The first, a large science bay that fits into your rockets stack. The second was a radial mount, more of a specimen container than a full sized lab. By opening these bays you will gather research data, aka "science" that you can use as currency for researching new technologies. There is great depth to the science bays already. The results of experiments will depend on where they are conducted. An experiment in orbit will have a different result than one conducted from the surface of Duna or Minmus. The way you retrieve the data matters as well. Antennas and satellite dishes can transmit the data back to command, but your best results will come from bringing the craft back to Kerbin. If you don't have a science module on your craft, or lose it along the way (it happens) you can always ask the crew for a report. In orbit over Kerbin, Jeb astutely reported to us that it was very round. Finally, one of the communities most asked for features has been realized. The new Sub-Assembly tab will allow players to drag any configuration of parts for use later in the construction. This is particularly useful in adding space-planes to rocket assemblies, or correcting a specific part of your design without losing everything else. All these things are just the tip of the spaceberg. Future updates will continue to focus on the career mode. Felipe, Chad and the rest of the KSP team are dedicated to making it just as exciting and fun as the sandbox mode we've all grown to love. 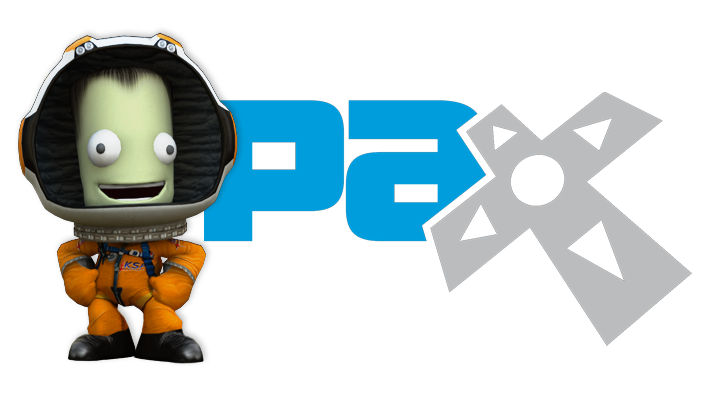 For those of you still hungry for more KSP info, we will be posting our full interview with Felipe, Bob and Chad soon. UPDATE 9/12/13: The folks from KSP have uploaded a video detailing the updates in .22. Enjoy!